The EOS C500 will be able to, thanks to new firmware, deliver BT.2020-defined Ultra High Definition (UHD) video. 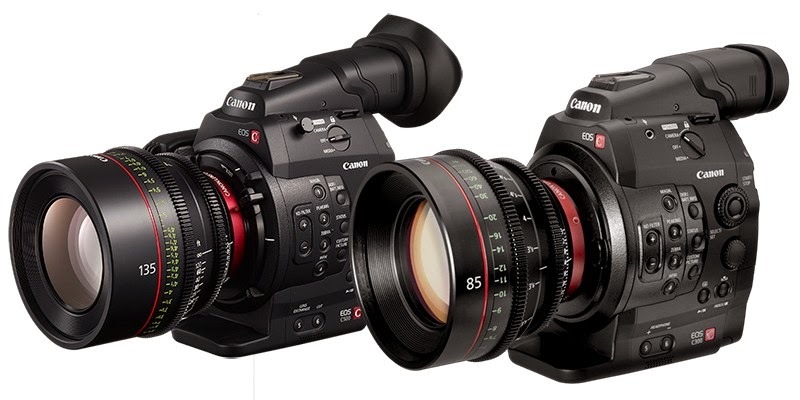 Since launch, Canon’s Cinema EOS Digital Cinema Cameras and lenses have earned widespread praise and the C500 and C500 PL, which capture 4K video in stunning detail, can now be enhanced even further with a new firmware upgrade offering support for BT.2020, the recently-defined colour space for Ultra High Definition (UHD) video, the next-generation broadcast standard. The DP-V3010 4K reference display has received a significant firmware upgrade to allow for new inputs and signal formats as well as BT.2020 and ACESproxy modes. The new firmware will also provide an output solution for footage shot using the Cinema Gamut and DCI-P3+ colour spaces available in EOS C500, simplifying monitoring and post-production work. Footage can be displayed using either DCI-P3 or BT.709, as the project requires, with optimised conversion occurring in the display. Further support added includes YCbCr 4:4:4 luminance and chroma sampling used in digital cinema production, while a new peaking function displays a colour outline around subjects in focus making it easier to judge a point of focus for a shot.